Inside all of us there is a story. It is the story of our soul. As the soul heals it tells a tale of unflinching bravery in the face of impossible odds, absolute purity, innocence, generosity, passion, desire and the overwhelming sweetness of love. As I've treated people over the years, I have "heard" the stories of their souls. Each time, I was in awe of the beauty and stuck by the universality of these stories. 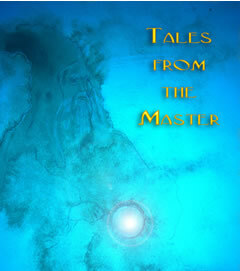 Tales From The Master is a collection of the lessons and inspirations of the people I have known. Purchase Tales From The Master from your local bookstore or through the Innate Foundation bookstore.